We give you 10 things that you need to know about it if you’re thinking of switching from Traktor. Are you a user of Traktor (or indeed Virtual DJ, MixVibes Cross or some other program – but most of our users are one or the other of the “big two”), wanting to try Serato but with questions you’re afraid to ask for fear of getting shunned by your DJ peers? Now that Serato Scratch Live (Serato’s DVS software) has been folded into Serato DJ, and a whole host of new controllers have been released for the platform, a lot of DJs seem to be curious about giving it a go. I recently got to grips with it for the first time in order to write some forthcoming Serato articles for Digital DJ Tips, and here I’ve listed 10 essentials you need to know about making the jump to Serato DJ. You could use Serato DJ on its own without a controller, but you only get one channel. Use this for prepping your set or setting cue points in transit. You can’t import your Traktor library straight into Serato – As of this writing, we don’t know of a stable, user-friendly way to convert your library for Serato DJ. There exists some programs such as ScratchTools, but there’s a lot of command line work and it’s a relatively complex job to get done, not to mention that the site looks like it was stuck in 1999. As we regularly suggest to our readers, use iTunes to organise all your DJ music. You may not be able to transfer your cue points, but at least you’ll have your folders intact! 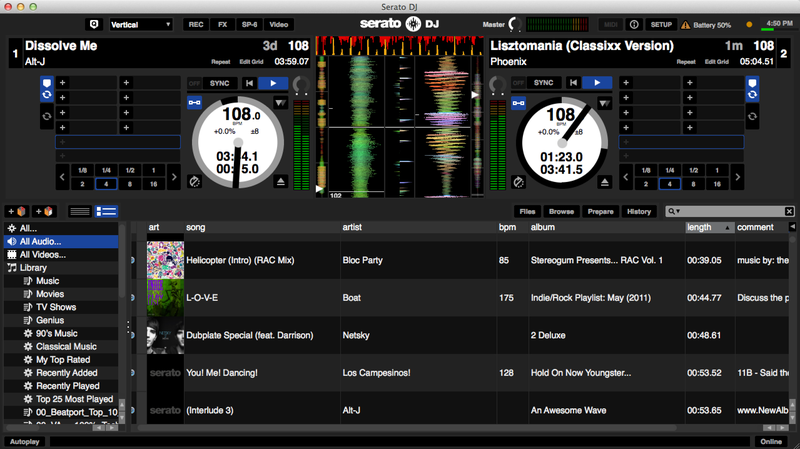 Serato DJ has four ways to view your waveforms depending on your preference. This one shows the Tempo Matching Display (red and gold waveforms on top of the screen) as well as the Beat Matching Display, which are quite handy. 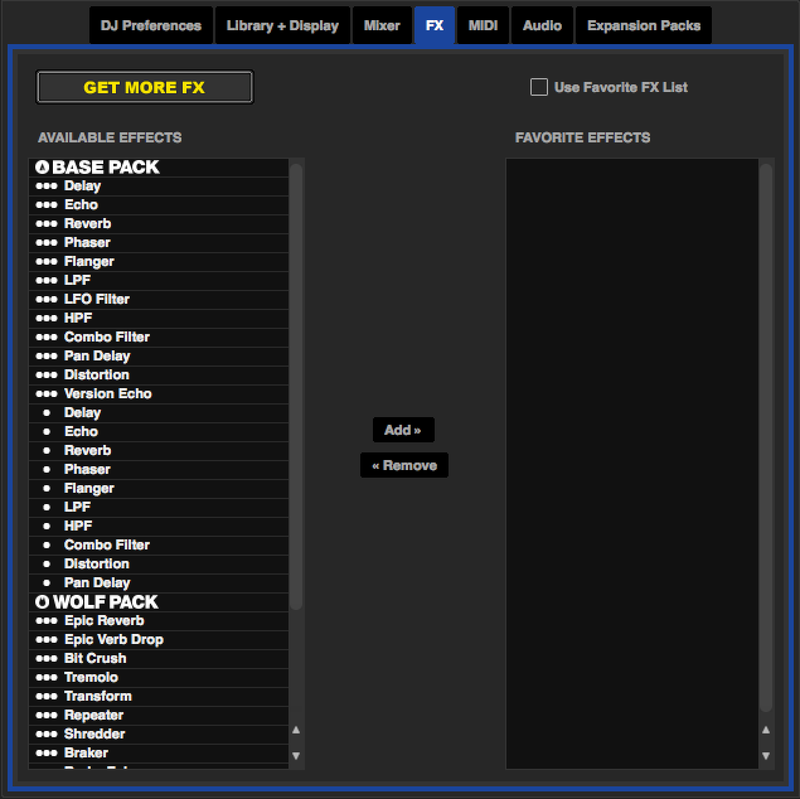 Lots of FX built in, but if you want the full suite you’re going to have to buy the rest. You can now use timecode CDs and vinyl – Version 1.6 of Serato DJ includes DVS and CD timecode support for Rane mixers and Serato Scratch Live interfaces. There’s even an option for *gasp* sync! The Pioneer DDJ-SZ is the company’s new flagship controller for Serato DJ, and has the potential to be Serato’s coup de grâce if it becomes a hit! Folk have been talking about how Serato’s been too slow to adapt to a quickly changing digital DJ landscape, the pace of which has been quickened by advancements in other companies’ DJ software (such as Native Instruments’s Traktor, MixVibes Cross and so on). 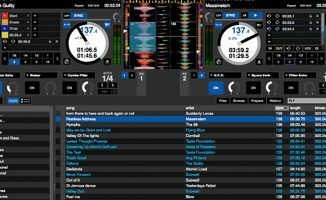 But by cherry-picking features that they feel their existing user base needs, keeping a close eye on usability, and an ear to the ground for what the future of DJing might hold (Serato Video, Serato Remote for iOS), Serato is arguably doing what it feels needs to be done to stay relevant in the Digital DJ game. 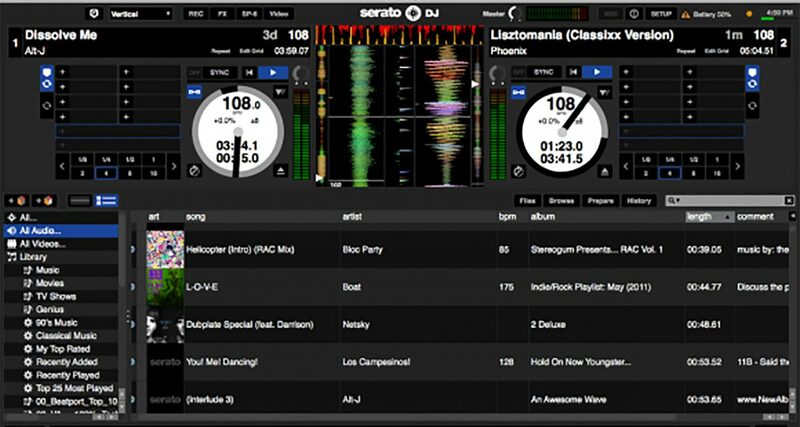 As a matter of opinion, to me Serato DJ feels more like an aggressively strategic marketing and rebranding move by a company eager to reinvent itself: By consolidating its lineup of software into a competitive package and updating its feature set without losing touch with its traditional DVS market, Serato to me is looking to get back a bigger slice of the extremely competitive DJ market. It’s a tricky beast to tame, and whatever the outcome of the “software wars”, ultimately it’s us DJs who gain. Have you made the switch from Traktor to Serato, or indeed have you gone the other way? What was your experience, and where do you see the strengths and weaknesses of each platform? Or don’t you rate either, and prefer Virtual DJ, Cross DJ or another program? Let us know in the comments! I still look at Serato as the happy choice for many vinyl purists who want to go digital without the added “sinful things” of sync and such. One thing I notice with Serato users I’ve encountered is they would prefer a bare-basics setup with no sync, no waveforms, nothing more than just a solid vinyl emulation. I’m sure though Rane can’t corner the market with just that….and thus wants a piece of NI’s market. Remember that Rane and Serato are different companies. Rane is a hardware company from Seattle and Serato a Software company from New Zealand. They collaborate together on products, but operate independently. Thanks for the tips. 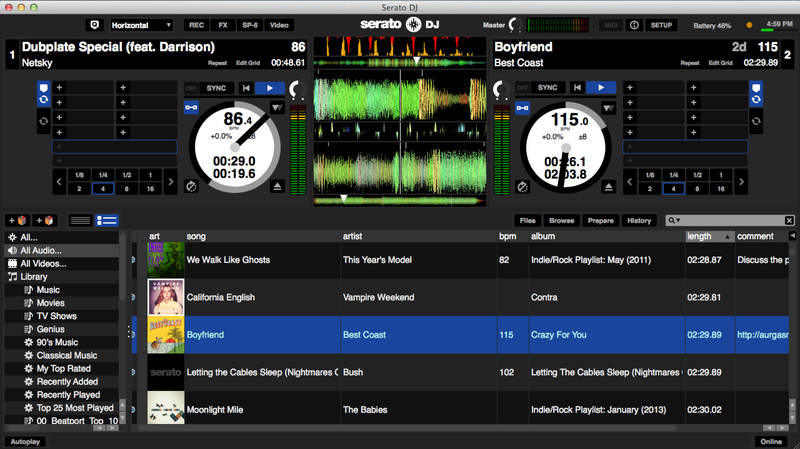 While I don’t see myself moving away from Traktor anytime soon, a radio station I DJ for has a dedicated Serato set up. I think I want to mess around with it there just to get to know the system better so I could tag team with other djs that are dedicated Serato users. I’m all for versatility. Is this not a reason to MIDI sync to an external drum machine program? There are a LOT of hardware and software options for adding drums (that sync to the beat). While it can be a hassle to set up your drum machine with your DJ software on one machine, it’s certainly worth it if you like using drum pads during your set. Sadly there’s no MIDI out in Serato DJ yet. The Bridge (between Serato and Ableton) has also fallen by the wayside in the migration to Serato DJ, so Serato users are bereft of a MIDI synchronization option for the time being. Wow, you’re right. I had assumed that since Serato DJ included MIDI Devices it would also include MIDI time code out. What an oversight and shortcoming. I’m glad I have a couple of choices when it comes to DJ programs, but this should have been there from the moment Scratch Live was shoehorned into Serato DJ. I try serato and Traktor in my pioneer ddj -sx and for me the sound quality it’s better in traktor and you are allowed to map your controller as you want and the scratch indeed sounds different but not so much and of course Traktor comes with more effects, the music library for me is easier to make in Traktor and you can export it with the music right away the only plus in serato is the video plug in that’s why I just used seraro for that . Wonder if NI will come out with a video plugin for Traktor? Now THAT would be interesting! If the sound quality is better in Traktor, try looking at your audio settings in Serato DJ. These programs don’t change playback quality on their own. In fact, it’s a good idea to check your audio settings whenever you make changes to your hardware or software, for a myriad of reasons. I have a Pioneer DDJ-SB and I’m trying to make the change from Traktor to Serato. My only problem is that I have to buy Serato DJ because the controller comes with Serato DJ Intro. We’ll see what happens. The DDJ-SB is a Serato Controller but It can be used with Traktor. Go to Traktor Bible or DJTT and get the Mapping for it. Ive started out true to Serato (Scratch Live) for a good 5 years and then migrated to Traktor for another 3 years. 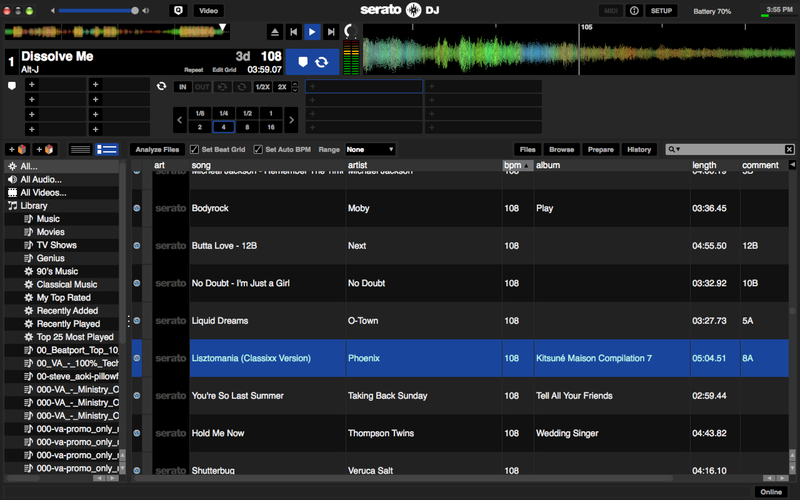 Now I recently have come back to Serato (Serato DJ) and find that I do truly like Serato much better than Traktor. Of course each one has it’s good and bad. Hey Gregg! As far as I know, setting cue points in Serato DJ for a song won’t mess up your Traktor cue points because they store metadata in their own respective libraries 🙂 I tried it with mine on one song (I have both Traktor and Serato DJ), and seemed to work just fine. On another note if the sz becomes a club standard then the serato / tracktor debate will become a none event as it will support both! The DDJ-SZ has two individual separate sound cards so it will indeed be able to run both Serato and Traktor at the same time during switchover. Never thought of that. Is it confirmed that the SZ can do this? I went from Traktor to Serato and have never been happier. I am a purist, I focus on my DJing and turntablism and not on effects and syncing up a party. I looked at both about a year ago and went for traktor purely because I’m a geek and like playing with setting etc. Also I had a controller already I wanted to remap and I could not do that in Serato. Now with all the controllers coming out with Serato makes me wonder when it will be time to swap or just wait and hang on in there and see what NI have up their sleeves. “It becomes a bit of headache to learn the ins & out of software then change a few years later. ” – Definitely agree with that. That’s why we say ideally, you should choose your software first, your controller second. We’re very lucky in having loads of gear, software etc to play with and I agree that nothing is perfect and there are valid reasons for preferring either over the other. Regarding point #5, yes the tracking algorithms are different between Serato and Traktor. Traktor by default has the superior algorithm in that it is more efficient and uses less memory. This gives Traktor an odd sound when attempting to scratch with it. However, by going to the Traktor settings at Transport > Keylock > Mode, you can switch from the default “Normal” to “Scratch” and get almost exactly the same sound you would get in Serato. In fact this is pretty much a must if you’re going to scratch in Traktor. I changed from Traktor (which just didn’t suit my -mostly mobile- DJ style at all, to Mixvibes Cross. At the time I was tempted to move to Serato, but didn’t want to toss my much loved MC6000 controller that wasn’t Serato-approved. I never regretted the move. But I am upgrading to the MC6000 mkII and it has … Serato-approval! So I’ll definitely give it a try. Good article as usual, Phil! Remember Native is a DJ/production company, with its own range of hardware/Software. The R&D involved there is huge. I am sure in good time we’ll see some amazing new stuff from Native that builds on their philosophy which to me seems to be to blur the lines between DJing and production. It’s not for everyone, but hats off to them for the approach. I love Traktor, but them being such a-holes about non-NI controller compatibility is really getting to me….and those Pioneer controllers look SOOOOOOOO nice. Correct me if I’m wrong, but I’m pretty sure it’s impossible to map jogwheels in Serato. That is actually the reason why Serato works so perfectly with the jogwheels they support. Because Serato uses the full bandwidth of bits sent to the software (aka HID mode) of the platters. You’re wrong on Traktor. I use it with a Mixtrack Pro II or a DDJ-SR and neither are Traktor certified. The situation you talk about is only for DVS for which you need a special soundcard anyway. And just because companies release stuff for Serato it doesn’t mean it won’t work for other software. Not every software is as locked down as Serato is. Both my main controllers are for Serato as standard and they work fine on Virtual DJ, Traktor, Cross, Deckadance, etc. I moved from Traktor to Serato about 2 years ago and have been incredibly happy. Never going back. 🙂 Nice article, as usual. I switched this year from Traktor DVS (on Traktor since 2007) to Serato DVS and I have not gone back. I love all that Traktor had to offer but Serato was like my dream girl once I got my hands on it. 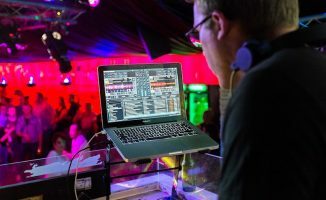 Great article and the only thing I will add is that you will need to analyze your files prior to getting to play with Serato. Got serato with the DDJ-SX, so I really tried to like it, but went back to VDJ after two weeks. Then I tested Traktor pro2 and I absolutly love it. Now I know why Traktor is the most used dj software, and I can´t understand why Pioneer focus so much on serato?! Is it all economics? Pioneer do have released their own sx-mapping for traktor, but it´s not that good. Just bought pioneer DDJ-Sz and im using the traktor pro 2 settings. Not able to use the sampler on ddj-sz . 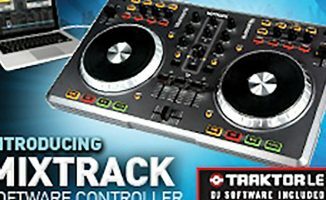 I have worked with traktor for many years as used to use pcdj but found traktor much better but I just bought denon mc4000 and couldn’t see much help to get it to work with traktor so I have decided to go with serato with the controller as supported and not an expert with computers I needed the help. So far the analysing the tracks is much faster but would love it if knew how to sync, effects, samplers, create playlists.alot to learn. There is something that you guys haven’t discussed yet : i intend to be DJing with timecoded vinyls AND traditional vinyls, and would need the mix between those 2 sources to be easy. What would you recommend for this kind of DJ set up ? 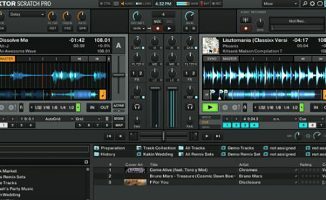 Serato or Traktor ? And if so, what soundcard ? Also, is the software still able to apply FX if i play a traditional vinyl ? Thanks a lot to you all !